We are the largest Private Career College in Ontario, we focus solely on training in the culinary arts. Most noteworthy, is the 10,000+ graduates that we’ve sent into the industry since we opened our doors in 1996. Above all, this has given us the undisputed reputation for quality education and training locally and nationally. Established in 1996 by Susanne Mikler and Rudy Florio, Liaison College of Culinary Arts is a Private Career College. Chef Elaina Ravo, C.C.C. is the Director of the Kitchener Campus. Liaison College was founded on a simple idea; culinary arts education must be practical, rewarding, and give its graduates the best possible foundation for a career. We focus solely on career training in the culinary arts, offering 67% (2/3) of the program in the kitchen. 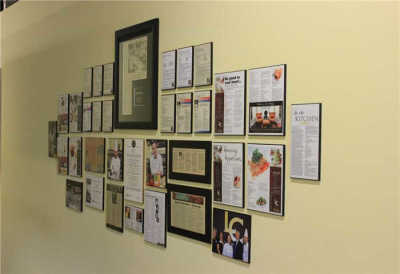 Furthermore, we are the largest trainer of Chefs and Cooks in Ontario. Designed by Chefs, our programs provide students with the skills they need in today’s demanding food service operations. What sets us apart is that we offer a concentrated education based on learning by doing, where techniques and practical hands-on application form the backbone of our professional programs. To view our programs click the link below. ​​A diploma from Liaison College can enhance your opportunities in the hospitality industry and lead to greater career advancement within your chosen discipline. With a 97% employment rate for our graduates, our students go on to work in some of the most prestigious and successful restaurants in Canada. Prospective students can book an appointment with the Kitchener Campus for a tour and information session anytime. Contact the Amy Cyr, the Director of Admissions at 519-743-8335 or [email protected] is waiting for you. Liaison College is registered as a private career college under the Private Career College Act of 2005.